It really felt other-worldly when the moon completely covered the sun and the light and temperature dropped significantly. The hot sunny morning suddenly felt as cool and dark as dawn, and with the spirals of smoke drifting up from the bush across the road from last night’s Rural Fire Brigade training, I did feel like I had been transported somewhere else for a moment. It was hard to describe what was going on to the children, or to share with them what a rare event this actually was, and how lucky we were to be in a place where it could be viewed, at least partially. We were watching the progress of the moon through a pin-hole camera made by poking a little hole into a piece of paper and angling it so that the sun shone through the little hole and projected its image on to another blank piece of paper. Confusing to describe and a little awkward to hold. I wish I had a welder’s mask so I could go outside and stare at the sun. How do you tell your children that the moon is moving in front of the sun and then tell them not to look at the sun? The pinhole camera wasn’t a very satisfying experience – and fortunately we remembered we had a big telescope in the corner of the living room, so out it came and we focussed on the sun through that. Much better! 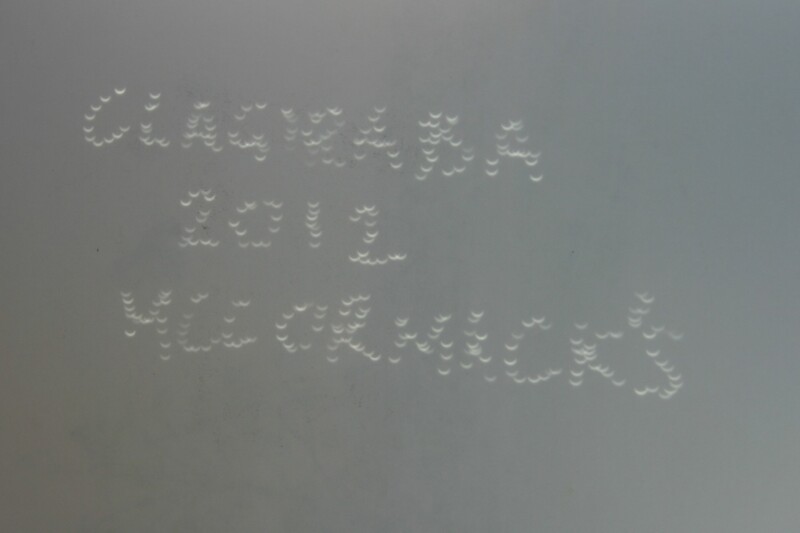 The actual complete eclipse we watched on the internet while we enjoyed the strange drop in temperature. 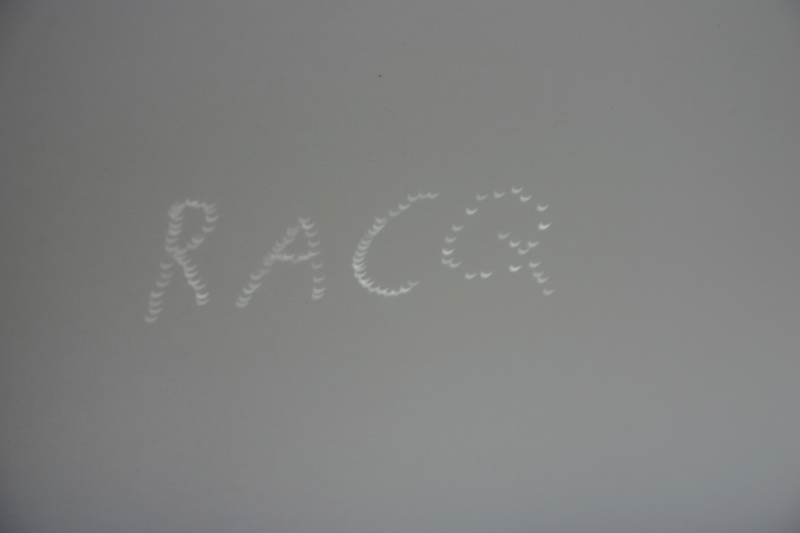 My son’s pinhole camera is a tribute to one of his local heros, the RACQ, who have come to assist us a few times when some part of our car has given up while we’ve been out and about. Jennifer, I still have your story of Princess Moon and Prince Sun complete with all the little illustrations. You must show it to the kids when you are up next.